Looks like a cabinet, but it's actually a fold-down-when-it's-bedtime bed! 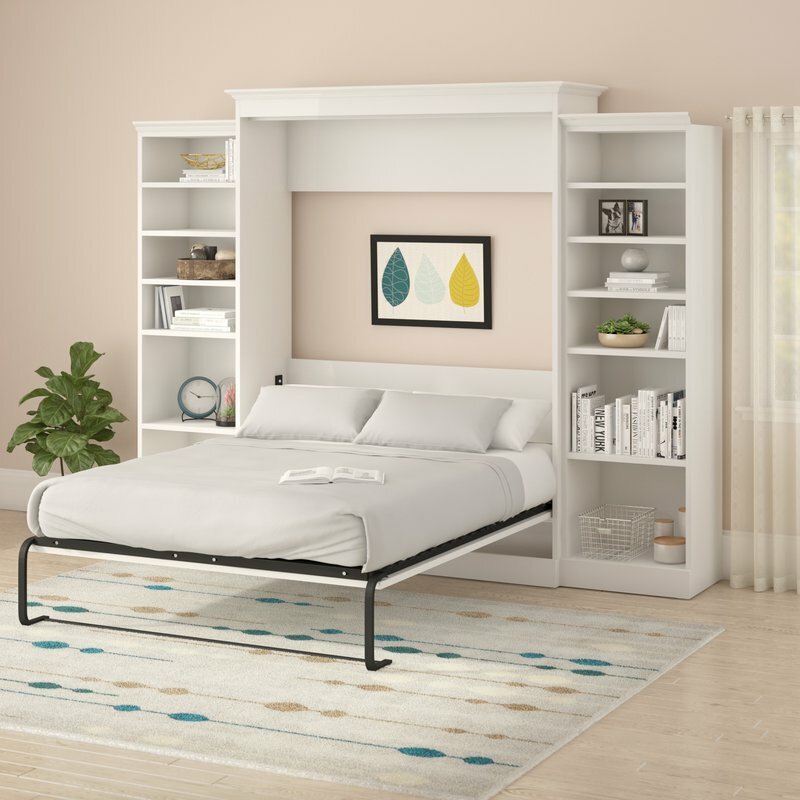 Tuck this amazing invention into a recessed wall and lift it up when you need some room to do cartwheels (but seriously: yoga) during the daytime. 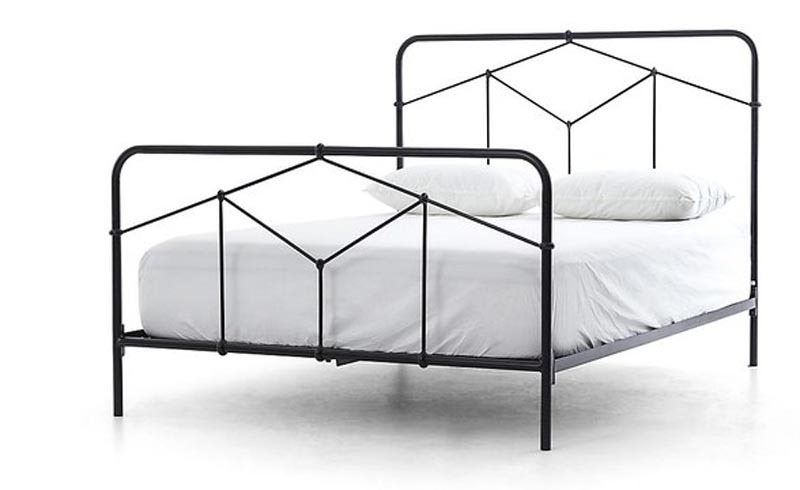 This might be obvious, but a twin bed will buy you a lot more space than a full bed if you're just one person sleeping in it. Low ceilings got you down? 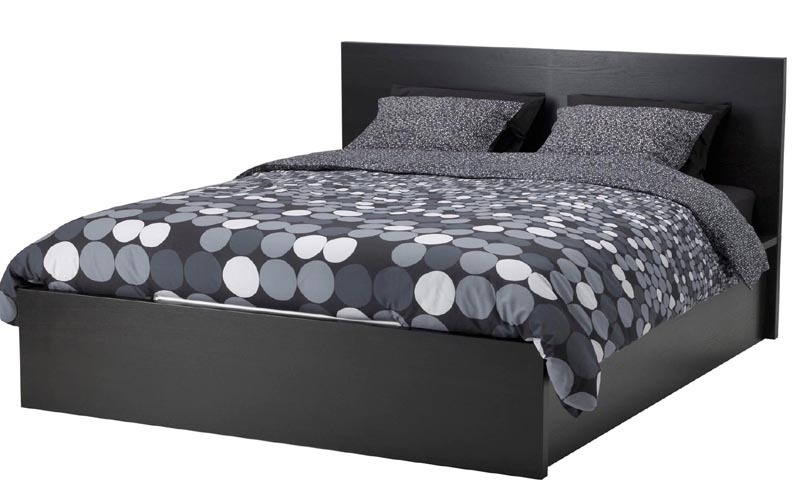 It's time to get a platform bed, which will automatically make the room feel bigger since it's flush with the floor. 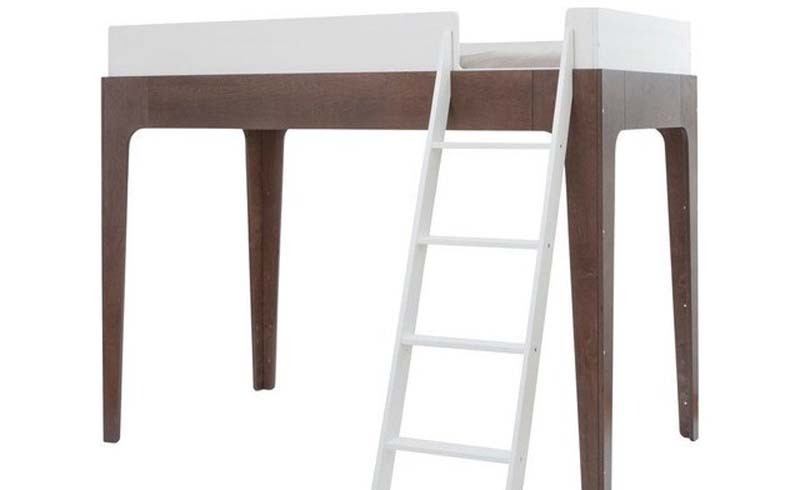 If you're desperately in need of some extra floor space, get a lofted bed—and then tuck a desk, a bookcase, and anything else your heart desires underneath it. 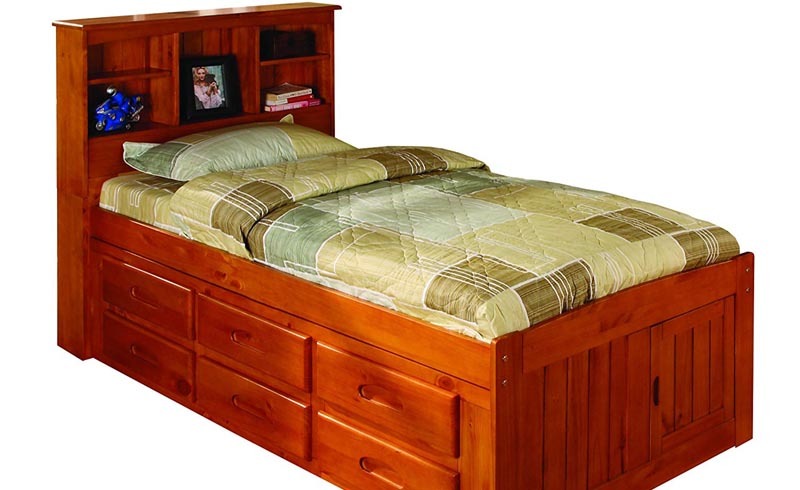 If you've barely got room for a bed, let alone a whole set of drawers to go with it, the move is to combine them. 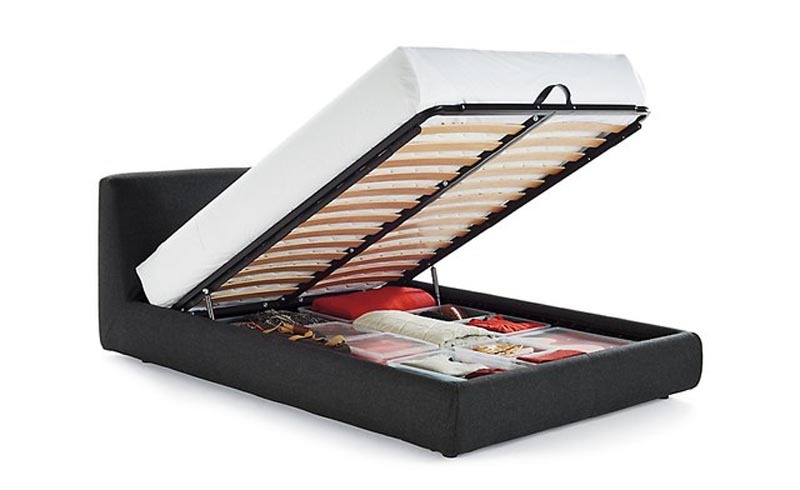 Sometimes called a captain's bed, a frame with drawers underneath will stow most of your clothes in no extra square footage. 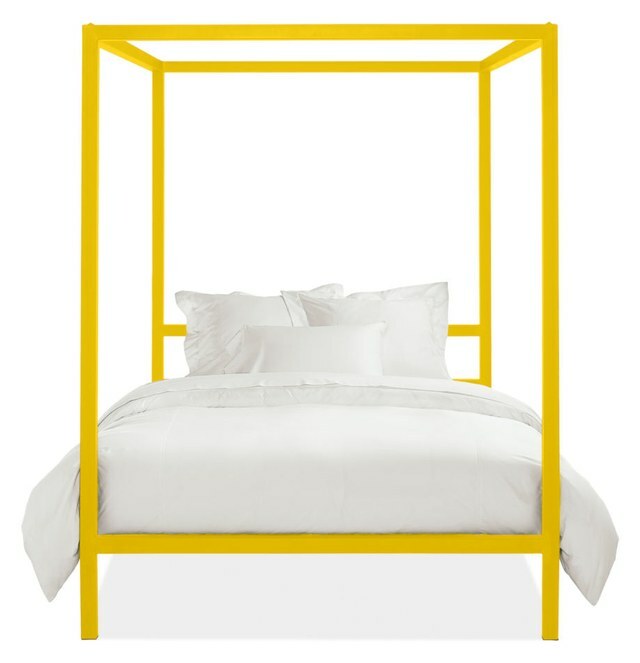 We know what you're thinking—how could a canopy bed be right for a small room? Just trust us. The way it lifts the eye and outlines the room will do all the work of a good paint job, well-placed artwork, and more. 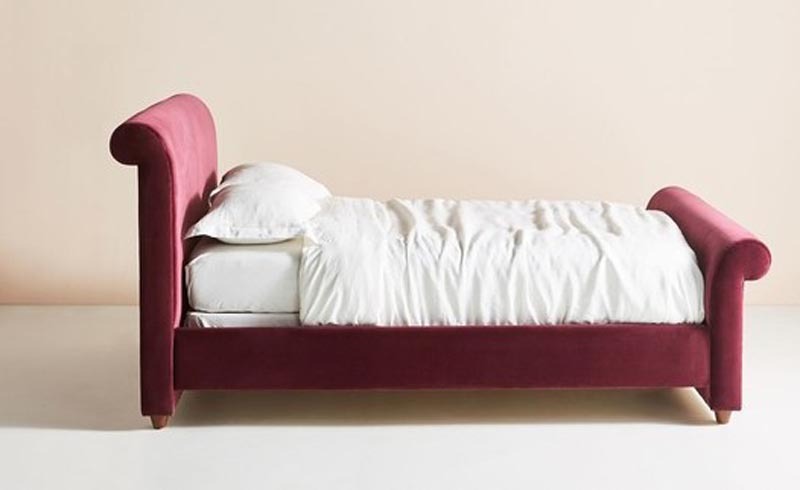 Another counterintuitive pick, but a sleigh bed is ideal for when you need a bed to run longways along a wall (weird required arrangements being the hallmark of small-room decoration). The curled-over head and food will make it look intentionally placed and feel extra cozy. 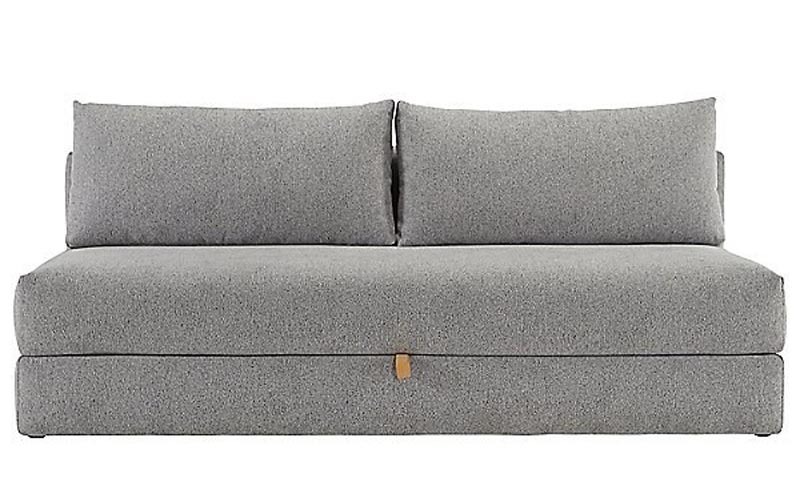 If the small room in question is not your main bedroom, consider a sleeper sofa—there are so many that are actually good-looking!—so you can use the room for cozy movie nights, too. 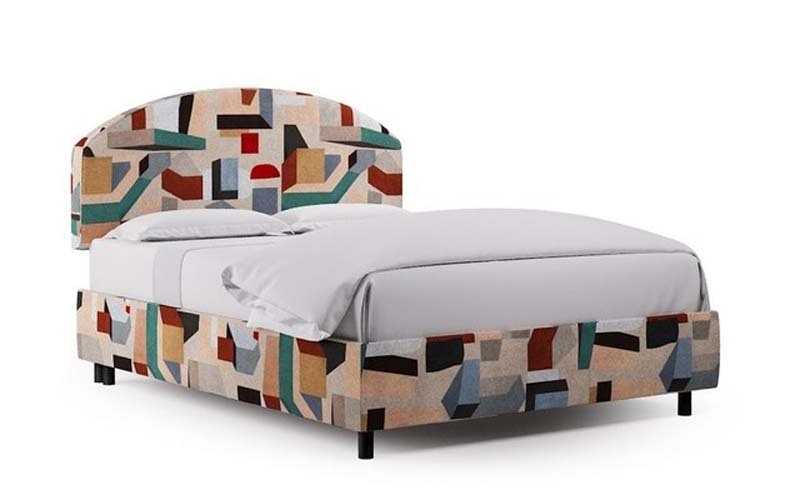 Bonus if you can find one with pillow and sheet storage inside. 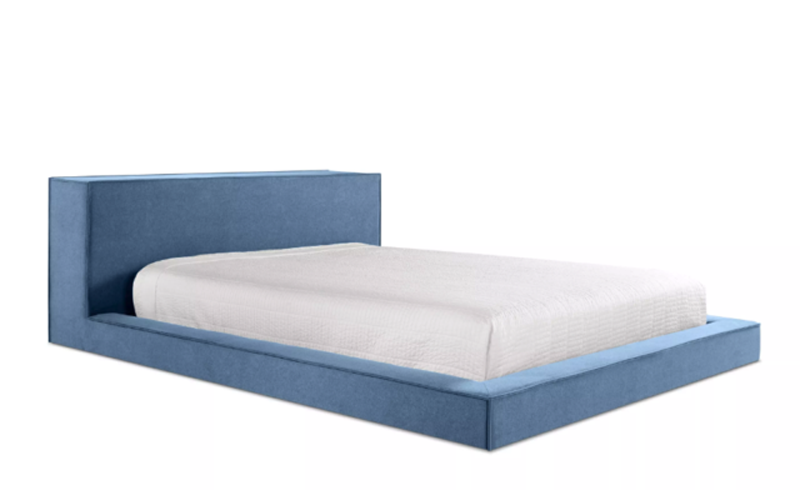 What we mean by this is any nonplatform bed that's 1) far enough off the ground to fit storage bins underneath and 2) wouldn't look crazy with a bed skirt (to hid the bins). Stow out-of-season clothes under there and nobody will be the wiser. 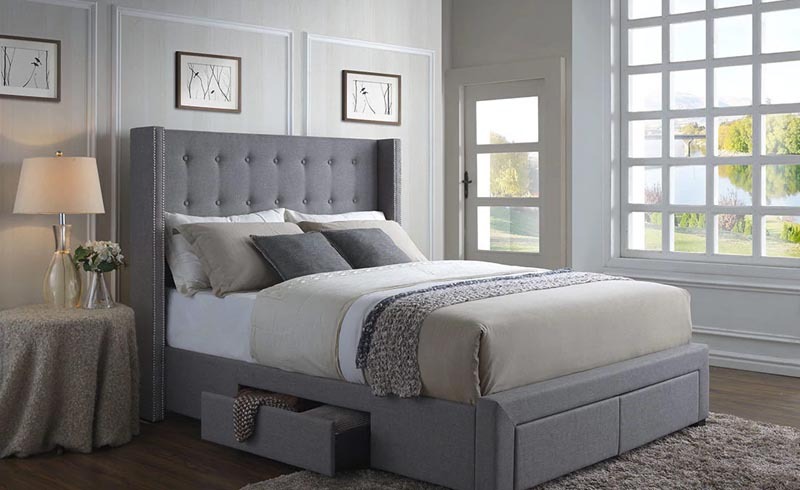 Simply lift up the mattress to access clothes, shoes—pretty much anything you don't have space for in the rest of the room.